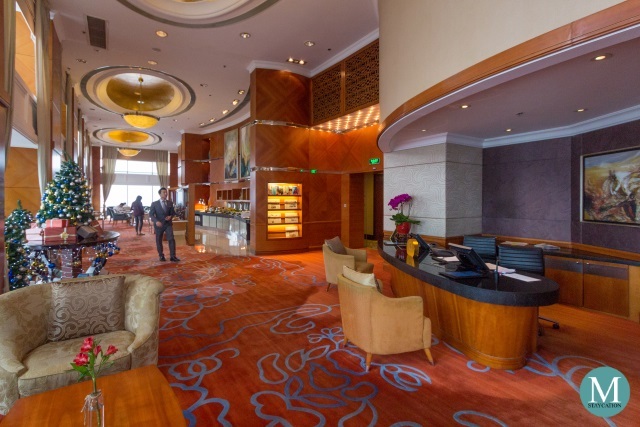 Shangri-La Hotel Suzhou guests staying in Club Rooms or Suites enjoy a host of personalized services at the exclusive Horizon Club Lounge. 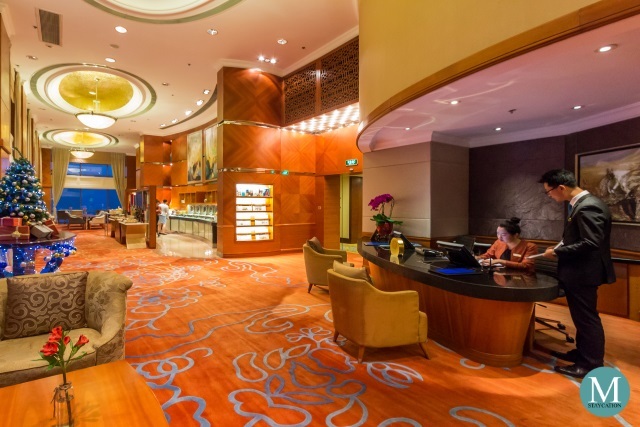 Golden Circle Diamond members also enjoy complimentary access to the Horizon Club Lounge as part of their member status benefits. 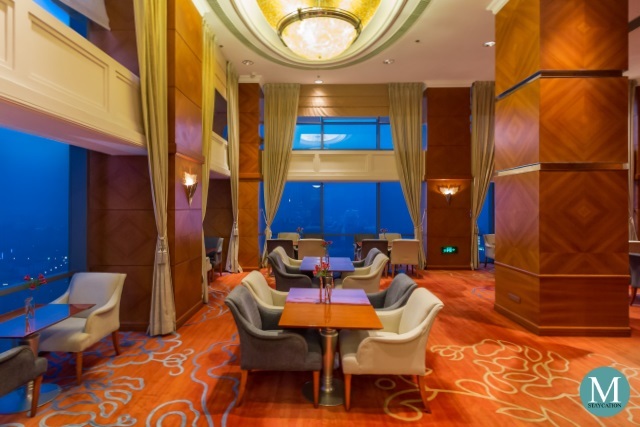 The Horizon Club Lounge is popular among business travelers staying at Shangri-La Hotel Suzhou primarily because of the business center services as well as meeting facilities available to them. 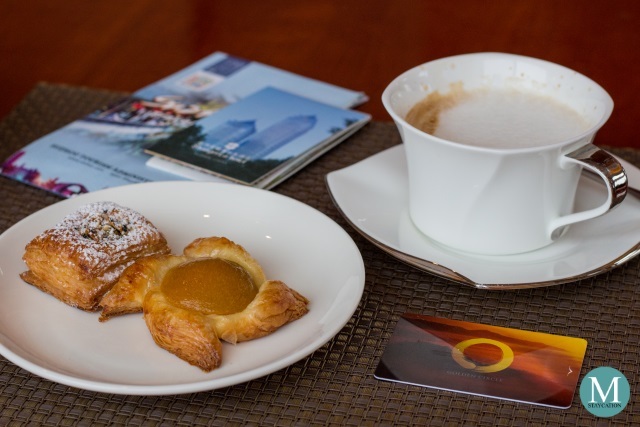 Leisure travelers on the other hand can enjoy the complimentary dining benefits and personalized service during their stay. 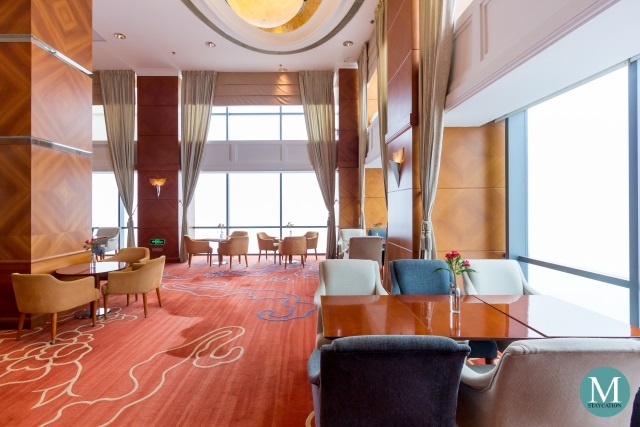 Regardless of the room type booked, Golden Circle Diamond members automatically gain access to the Horizon Club Lounge and will enjoy all the exclusive benefits of a Horizon Club guest. 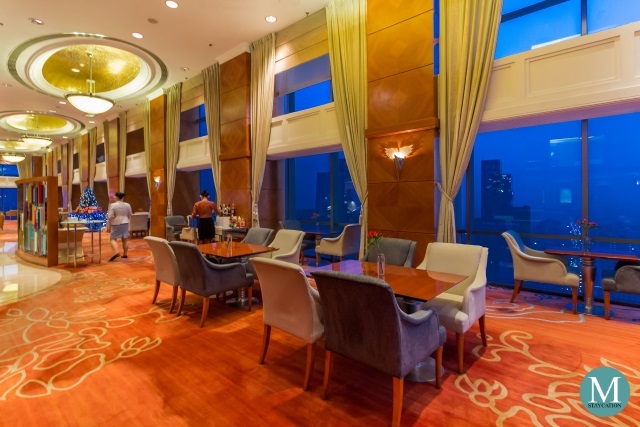 The Horizon Club Lounge has plenty of sitting areas, including plush sofas as well as spacious tables with comfortable chairs. 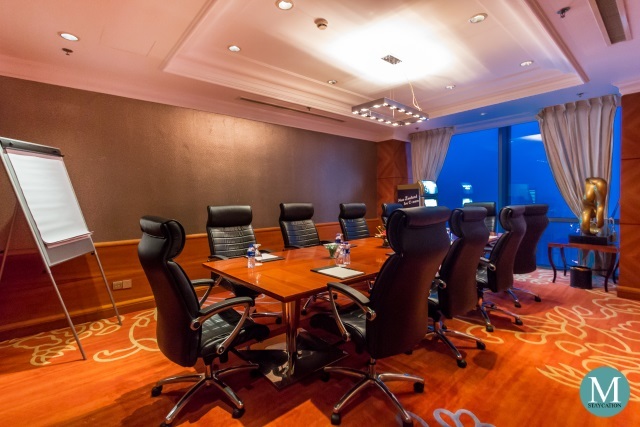 Located on the 48th floor of the hotel, seats next to the glass windows are the best spots to enjoy the panoramic views of the city. Available daily from 5:30pm to 7:30pm, Horizon Club guests enjoy a wide spread of canapes, dumplings, salads, premium cheeses and cold cuts. There's also Chinese and Western hot dishes, fresh fruits, pastries and cakes. Guests can pair the dishes with cocktails, wine, beer and liquor. 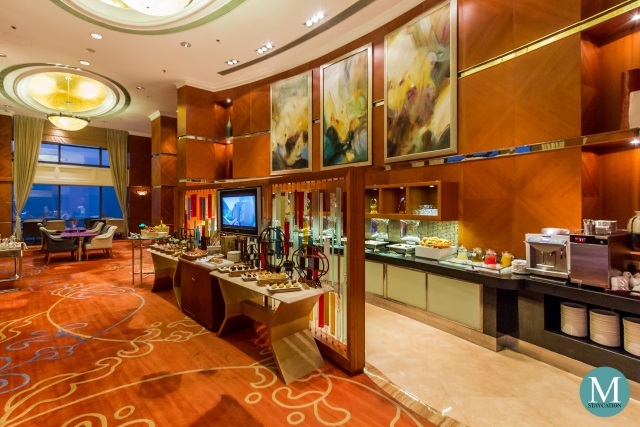 Non-alcoholic options include fruit juices, soft drinks, coffee and tea. Some of the dishes I had were roast chicken, roast beef, sausages, baby potatoes, brussels sprouts and water chestnuts. With so much food options, the evening cocktails can easily serve as dinner already. This makes the Horizon Club Lounge a great value for money. 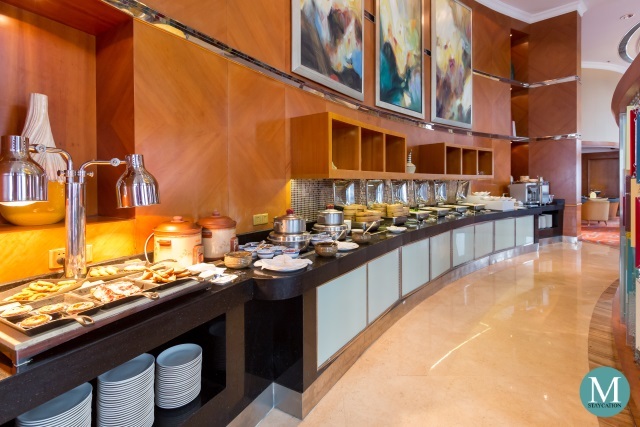 Many Horizon Club guests choose the semi-buffet breakfast at the Horizon Club Lounge (over the full buffet breakfast at Cafe Soo) because the lounge is less busy compared to the all-day dining restaurant. This is especially true to business travelers who hold meetings in the morning over breakfast. The buffet spread may be a bit limited but it focuses on the premium items and still has enough variety to choose from. 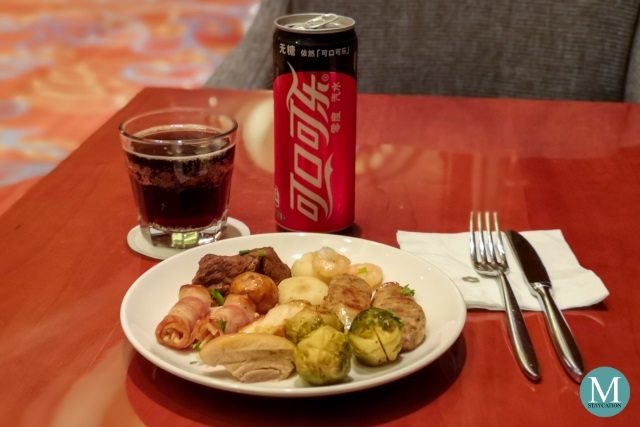 There is local Chinese options such as steamed and fried dumplings, Japanese options such as sushi and tempura, and there is of course Western options such as pastries, cheeses, sausages and bacon. 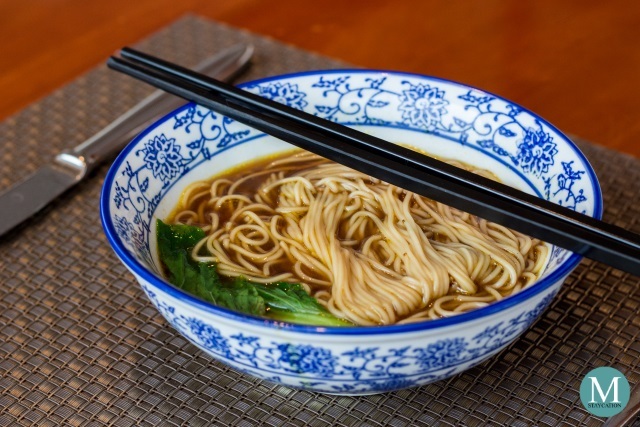 Guests can also order items from the a la carte breakfast menu, including egg dishes and omelettes cooked a la minute, as well noodle dishes such as the Hong Tiang Mian or Red Noodle Soup which is a popular noodle soup dish in Suzhou. Above everything else, it is the personal and attentive level of service which makes an exceptional Horizon Club Lounge experience to its guests. 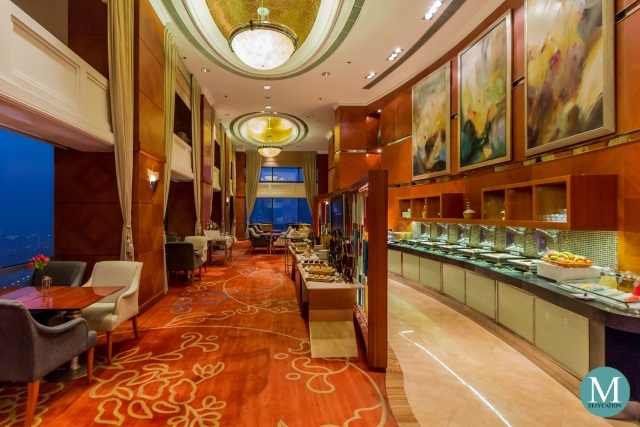 From as simple as refilling your cup of tea, to making sure that you get a perfect bowl of noodles, the Horizon Club Lounge staff makes sure that all your needs are attended to. One of the best things I love about the Horizon Club Lounge is the flexibility they extend to Horizon Club guests who require late check-out. Although it is not part of the standard benefits, I almost always get a late check-out time of until 4:00pm when I request for one. If you have a late evening flight, they can also let you stay at the lounge until you are ready to depart for the airport. These small things make travel, may it be for business or leisure, more convenient.